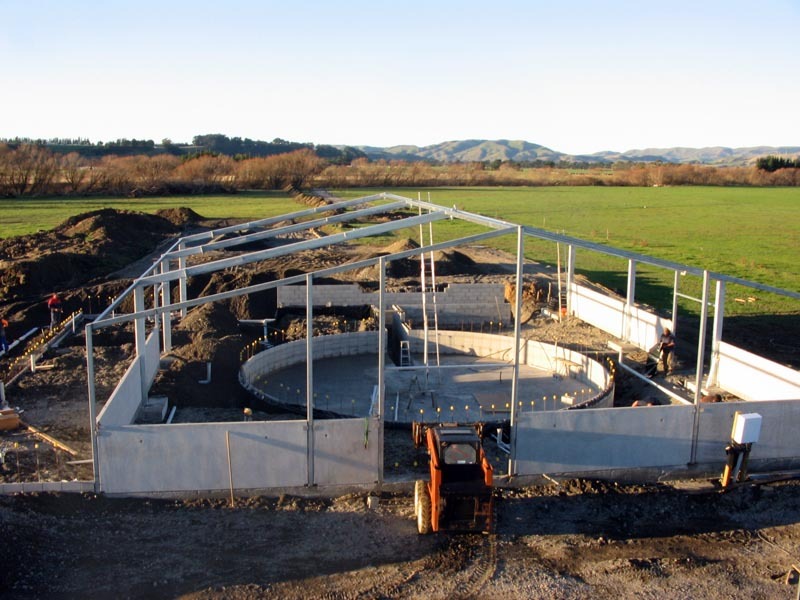 New Water (NZ) Ltd has an engineering division which specialises in the farming sector and has over 60 years of experience between its directors. 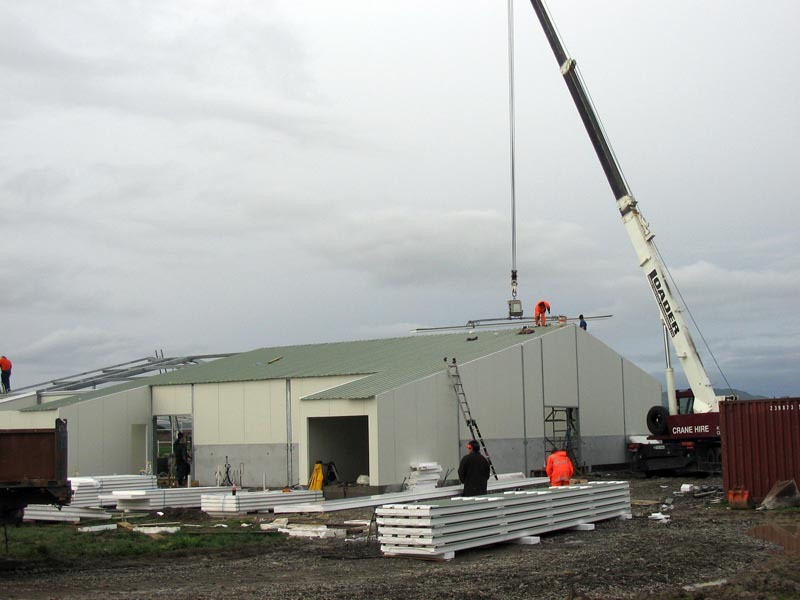 Most recently we have built four dairy sheds in the central lower North Island. 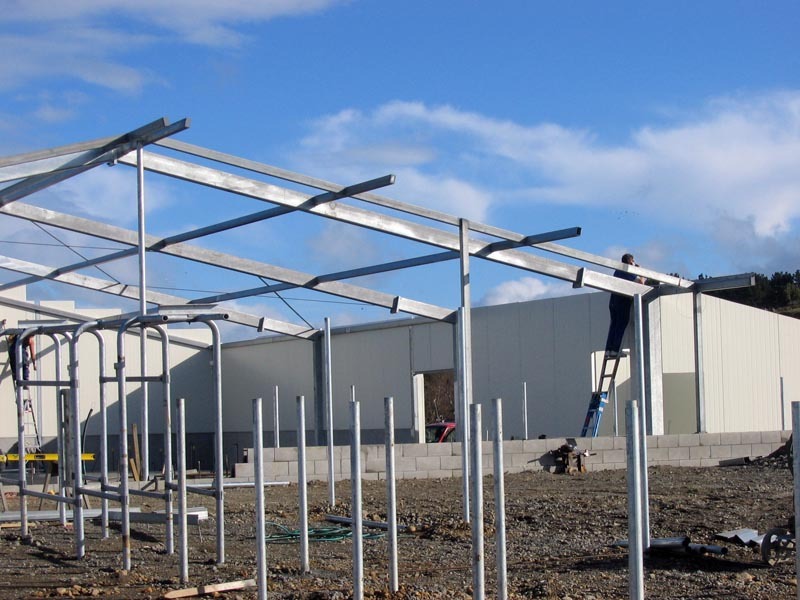 Steelwork is fabricated in Waipukurau as a kit set package, sandblasted and hot dip galvanised then transported in any destination in the central – lower North Island. 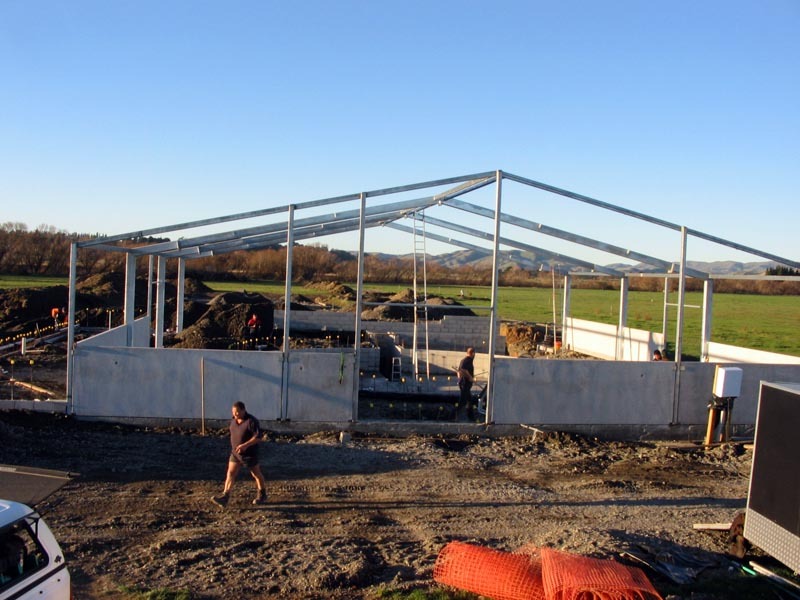 There we assemble and erect the structure ready for the building contractor to clad the exterior. 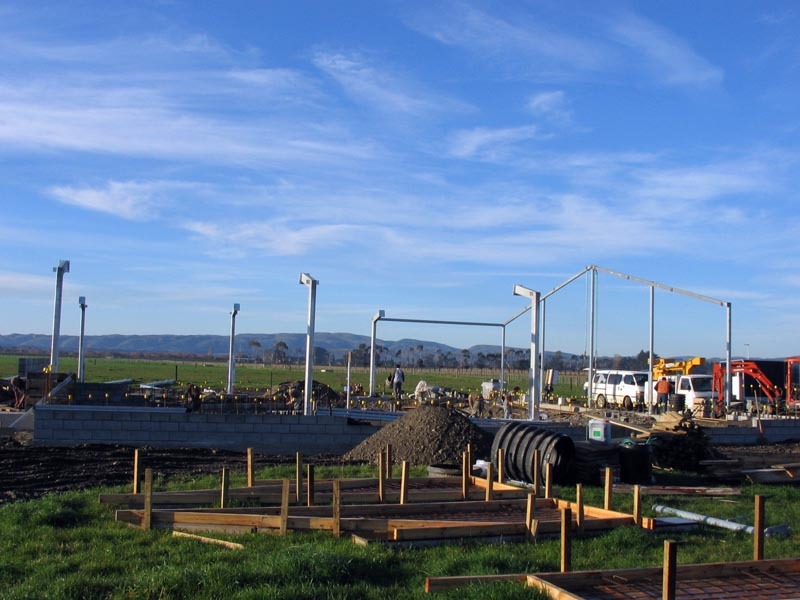 Bruce Fairhurst Builders Ltd provides an entire dairy shed package from concept to completion. 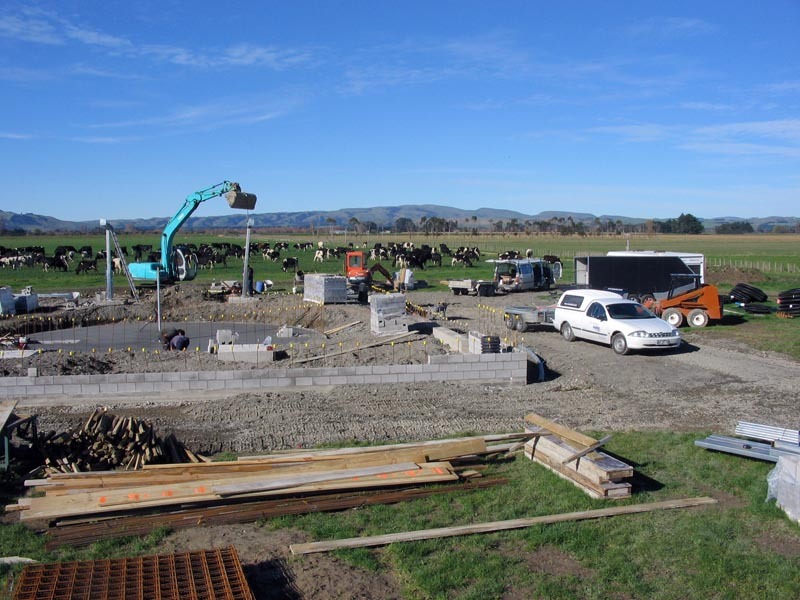 As construction begins, the first legs are stood into place. Not long and all legs plus the end wall are in place, welded and bolted down. Progressing, the roof structure is lifted into place and bolted at the same time as the wall slabs are positioned. In goes the fill. The start of another day, the purlins are being bolted in. As roof structure nears completion the wall cladding is assembled. 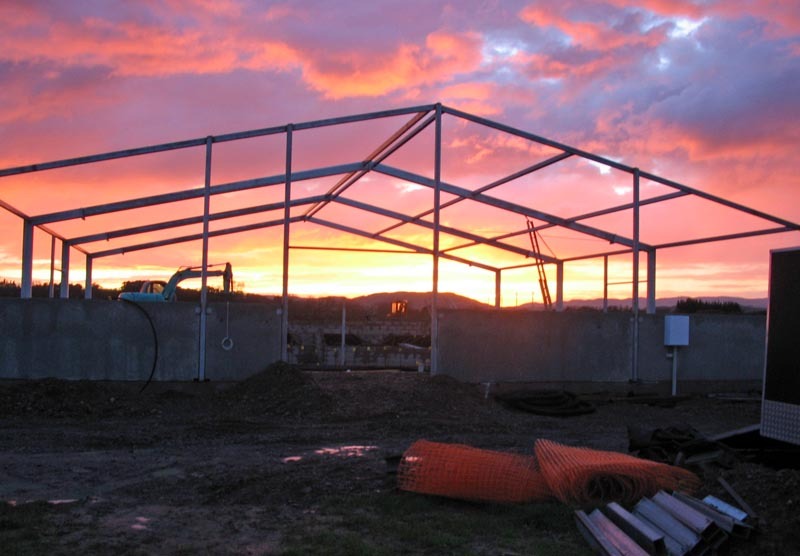 Steelwork now complete, the roof goes on.